Garden Oasis offer Greenhouses from some of the UK's leading manufacturers including Palram, Rion and Forest. Palram greenhouses are made from unbreakable polycarbonate glazing and rust proof aluminium frames for a stylish appearance and a long maintenance free life. Rion Greenhouses benefit from thick heavy duty resin frames combined with unbreakable polycarbonate glazing for a truly robust greenhouse that is easy to assemble. Whereas Forest Greenhouses offer long lasting pressure treated timber structures with a 15 year guarantee against rot and toughened safety glass. Delivery is fast and free of charge to most parts of the UK on our Greenhouses. This stunning Glass House from Forest is designed to create a focal point in your garden, whilst .. The Palram 6ft x 12ft Hybrid Greenhouse in green is perfectly suited for all your gardening needs. T.. 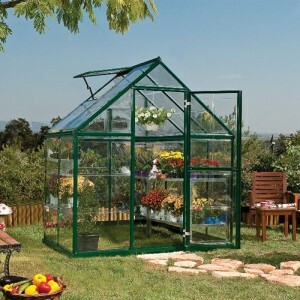 The Palram 6 x 10 Green Harmony Greenhouse is a smart new design that combines strength with simp.. The Palram 6ft x 10ft Hybrid Greenhouse in green is perfectly suited for all your gardening needs. T.. The Palram 6ft x 10ft Hybrid Silver Greenhouse is an outstanding and durable greenhouse that is cert.. 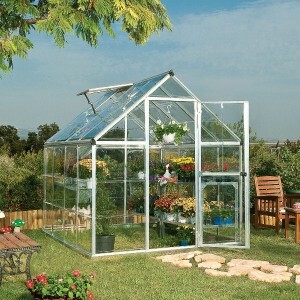 The Palram 6 x 10 Silver Harmony Greenhouse is a smart new design that combines strength with sim.. The Palram 6ft x 12ft Hybrid Silver Greenhouse is an outstanding and durable greenhouse that is cert.. The Palram 6ft x 14ft Hybrid Greenhouse in green is perfectly suited for all your gardening needs. T.. The Palram 6ft x 14ft Hybrid Silver Greenhouse is an outstanding and durable greenhouse that is cert.. The Palram 6 x 14 Silver Harmony Greenhouse is a smart new design that combines strength with simpli.. 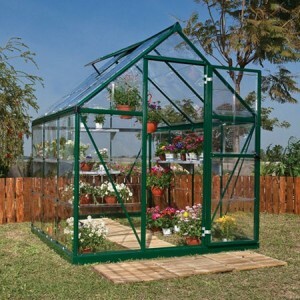 The Palram 6 x 4 Green Harmony Greenhouse is a smart new design that combines strength with simpl.. The Palram 6ft x 4ft Hybrid Greenhouse in green is perfectly suited for all your gardening needs. Th.. The Palram 6ft x 4ft Hybrid Silver Greenhouse is an outstanding and durable greenhouse that is certa.. 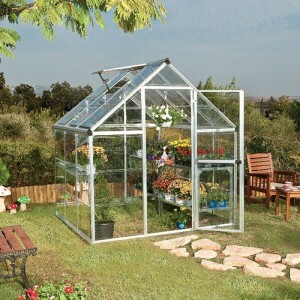 The Palram 6 x 4 Silver Harmony Greenhouse is a smart new design that combines strength with simp.. 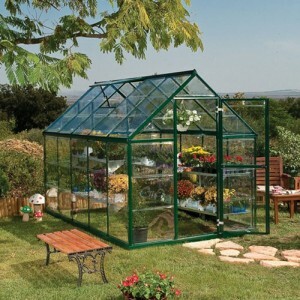 The Palram 6 x 6 Green Harmony Greenhouse is a smart new design that combines strength with simpl.. The Palram 6ft x 6ft Hybrid Greenhouse in green is perfectly suited for all your gardening needs. Th.. The Palram 6ft x 6ft Hybrid Silver Greenhouse is an outstanding and durable greenhouse that is certa.. 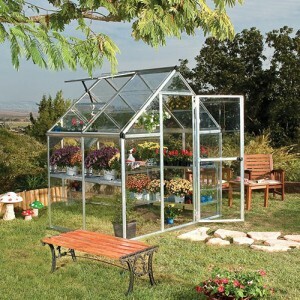 The Palram 6 x 6 Silver Harmony Greenhouse is a smart new design that combines strength with simp.. 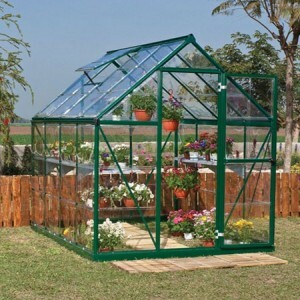 The Palram 6 x 8 Green Harmony Greenhouse is a smart new design that combines strength with simpl.. The Palram 6ft x 8ft Hybrid Greenhouse in green is perfectly suited for all your gardening needs. Th.. The Palram 6ft x 8ft Hybrid Silver Greenhouse is an outstanding and durable greenhouse that is certa.. 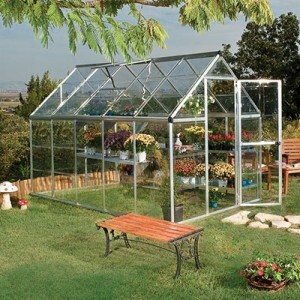 The Palram 6 x 8 Silver Harmony Greenhouse is a smart new design that combines strength with simp.. 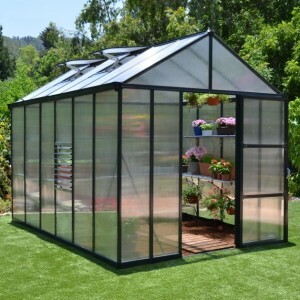 The Palram 8 x 12 Anthracite Glory Greenhouse is a luxury greenhouse designed with everything in .. 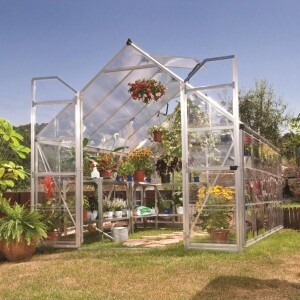 The Palram 8 x 12 Balance Greenhouse is a smart new design that combines strength with practicali..